The weather hasn’t really been that nice in NYC but that has not stopped me from putting away my winter coats and donning my *bright* blue trench which I am in lurve with. Girls usually compliment me by saying they love it, and boys usually compliment (?) me by saying it is really bright and giving me a weird look. I then proceed to brag about how it inspired a look on Gossip Girl. It was a true New York moment two falls ago. 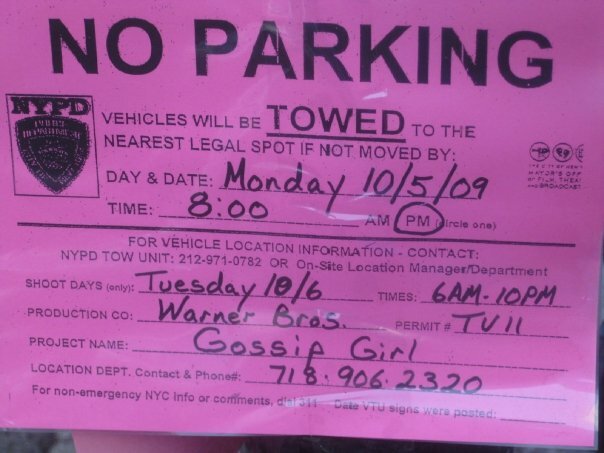 One Monday, I saw signs on lightposts near my work that said "No Parking - Gossip Girl" so I arranged the following day around how I was going to leave work a few times to spy on the film shoot and see if I could spot any celebs/potentially be discovered. New Yorkers are supposed to be cool when it comes to seeing celebrities and they are supposed to act like it’s no big deal, but at that point, I had only worked in the city for four months, so I thought it would be acceptable to be myself (aka really UNCOOL when it comes to seeing celebrities). Honestly, I've never even seen an episode of GG, but I was still pumped about it. On Tuesday, my coworker and I walked down the street, saw the film crew, and got excited. I got my camera out (which I *never* leave home without, on the off chance that one day I run into Justin Timberlake – true story) and started zooming in. 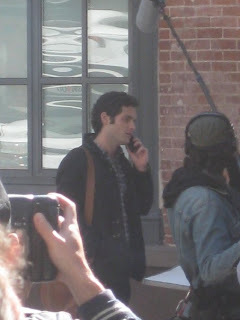 We watched Penn Badgely film a scene where he was talking on the phone. Apparently we had just missed the crew filming a scene with Hilary Duff (who I will always think of as the great and powerful Lizzie McGuire). When the crew was finished filming that scene, my coworker and I turned the corner and noticed some trailers for the stars. 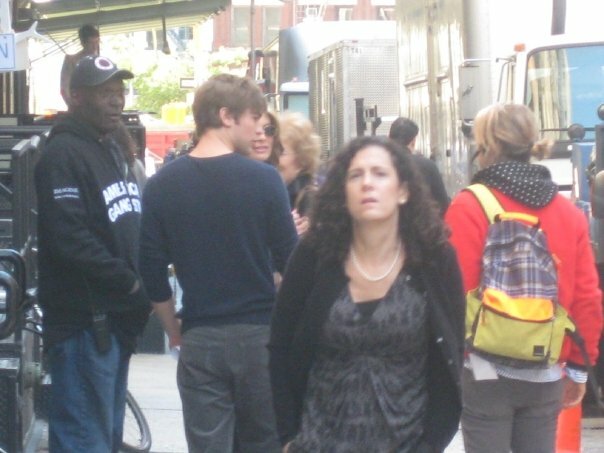 We saw Chace Crawford walking into one, waited for a few minutes, and then saw him walking out and I took some more paparazzi pics and admired his beauty from just a few feet away. 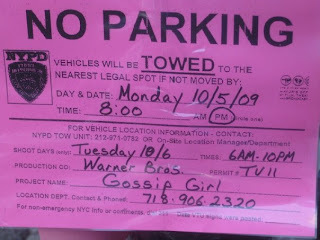 My friend Caitlin told me a few months later that Leighton Meester was wearing a coat like mine on that week's episode of GG, so it was clear that I had made a great impression on the cast and the crew. Although I haven't actually seen it...but I'm sure it's the exact same coat and that they have all been talking about me since. Right?